The packaging is totally recyclable and made form organic material. The ink is created from vegetable dyes. The stem is very well designed and doesn’t require any trimming. If, however, you want to trim it, you can. The grips on the stem and cup are very well designed and make for very easy insertion and removal. Even if you’re new to menstrual cups, you won’t have to struggle with it. The Lena Cup is very well designed overall and made from soft material. 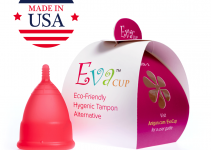 It’s perfect for teens and women who are trying out their very first cup. There are no ridges to make using it uncomfortable. It’s always a great experience with most women not even feeling it after it’s been properly inserted. Sometimes the material can be difficult to fold. This makes insertion a little but difficult for some people. Some women find the firmness of the grip rings to make removal a little bit difficult. 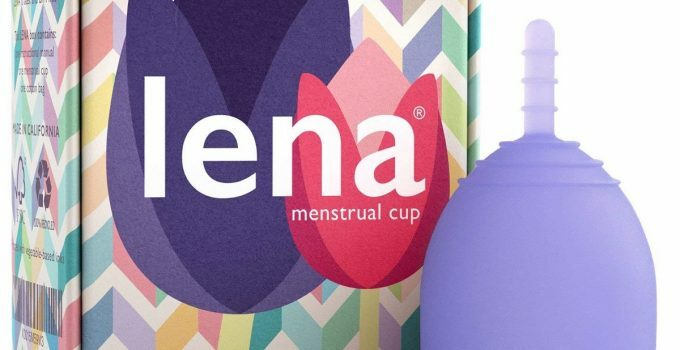 The Lena Reusable Menstrual Cup is a great cup. It’s well designed and went through quite a long design process. The end result is a cup that’s perfect for women who have been using them for years and newcomers to the entire concept. The whole thing started as a way to help reduce waste. Everything that this company does is geared toward that. From the fully recyclable box to the biodegradable ink, they put the environment first and that’s what cups are really all about. If you’re looking for a new cup, or your first cup, this one is a solid bet. It gets amazing reviews and high marks in every single category. This cup could be the very last one that you ever buy. It lasts for years and once you have to replace it, you’re probably going to find yourself running right back to the Luna Company. They put their care where it belongs and they make an amazing product. The price is right and the quality is incredibly high. If you happen to be on the fence about it, all you have to do is check out the user reviews. The honest opinions from the women who have used it are all you need. This Lena Menstrual Cup Review will focus on all of the most important aspects of the product. All of the information will be laid out for you to help you make an informed decision about your next purchase. Whether you’ve been using menstrual cups for a long time or are totally new to them, you’ll understand everything that you need to know about them. From the technical specs to the way they feel when being used, everything has been touched upon and presented. The Lena Cup is produced in and distributed from the United States. 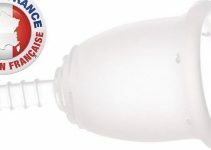 It’s made from medical grade silicone and will never cause any kind of infection or toxic shock if used and cared for properly. The cup itself was under development for much longer than a lot of the competition. The overall quality of the finished product is proof positive that the company made the right choice when creating it. A lot of thought has gone into the environmental impact of the Lena Cup and it’s everywhere you look. The box is organic and the ink is biodegradable. Since the cup came about through worry over waste, you can bet that the company always puts the Earth first. It’s just one more reason that this product gets so many high marks. This option contains one cup in the size and color of your choosing. Both small and large cups are available in pink, purple or turquoise. It also includes one storage pouch. If you wish to try both sizes, this option comes with a both a large and small cup in the colors of your choice. It also includes a pouch for each one. This cup was developed for teens and women with sensitive anatomies. It’s only available in clear, but does come in both large and small sizes. Cleaning the Lena Reusable Menstrual Cup is very easy, no matter where you are. Taking care of it at home is just as simple as taking care of it on the go. Always wash your hands in warm soapy water before and after cleaning. Wash it out in warm water with mild, scent free soap. Wash your hands in warm, soapy water before entering a public stall. The Lena Menstrual Cup comes with its own pouch for safe and easy storage. It’s important to remember that it should always be sterilized at the end of your cycle. This can be done on a stovetop with a pot of water. Hold the cup inside with a pair of tongs. Try not to let it touch the bottom or sides of the pot as it sterilizes for 5 – 7 minutes. Once cool, place it in its pouch and store it in a cool place with good air flow until your next cycle. The Lena Company was created in the United States where it manufactures its product. Development for the Lena Cup has been a very long, ongoing process with the product hitting the market fairly recently. They use top quality materials and their cup has garnered high praise very quickly. Reviews for the Lena Reusable Menstrual Cup are largely positive. Women who use it love the fact that they can wear it for a full day without having to stop and empty it out. The capacity seems to be just right for most of the users out there. Other say that the material is extremely comfortable. They report that they don’t feel a thing once the cup is properly inserted. They can go about their day without having to worry about spills or any kind of discomfort. Still other women say that the stem on the Lena Menstrual Cup is perfectly sized and made out of the right material. Trimming is not necessary in any way as it’s already the right size and shape. Women can wear it without having to feel it poking against them. It’s also incredibly easy to grip and makes insertion and removal a snap. On top of that, the very shape of the cup makes handling it much easier than a lot of the competition on the market. With so much time in development, it seems that the manufacturer really got it right. Yes, the Lena Cup is 100% reusable. If cared for and cleaned properly, it can be used for many years without having to be replaced. Is it easy to insert and take out? Yes, the cup is easy to use. With the helpful stem and shape of the cup, it can easily be gripped for removal and folded for easy insertion. Yes, no one will ever know that you’ve gotten a Lena Menstrual Cup in the mail. It’s sent in plain packaging to make sure that your menstrual care stays your business and no one else’s. The cup comes in a total of three different colors and one clear model. The currently offered colors are pink, purple and turquoise. Can the stem be trimmed down? Yes, the stem on the cup can be trimmed down, but most women report that it’s not necessary in any way. The material is soft and pliable and the size and shape lend well to not feeling it at all during proper wear. Does the cup have measuring lines? No, the Lena Cup does not have any measuring lines. All sides and surfaces are completely smooth to make for a much easier cleaning process than some of the competition on the market.